I’m an avid reader of New Scientist magazine. In fact I get it every week. The headline will usually be about something “quantum” or allude to some current or near “breakthrough”. Of course real breakthroughs are hardly on a weekly schedule. I know this, but still I buy into it. It is a classic marketing technique that tempts impulse buying. New Scientist covers about Quantum are the geek equivalent of putting Princes Diana or perhaps Jordan on the cover of a ladies magazine or putting Bruce Lee on the cover of a martial arts magazine. In each case the marketers know what make people pick up the edition, what buttons to push. It is this technique that got me to buy this book. “Stephen Hawking was just on Radio 4 and said that Philosophy was dead!” she announced. “As an ironic statement?” I typed back. I had fallen for it. I was now even more miffed. Without even opening the book I suddenly knew how this would go and, I’m sorry to say, I was proved right. This isn’t a book about M-Theory. This isn’t a book inviting debate or interested in discussing the issues. This isn’t even a book for anyone who has access to Wikipedia. This is a book making a statement. Not, as the first page claims, that Philosophy is dead – I will deal with that in a minute – no, this is a book that is trying to setup a different type of mythology. The mythology of the Physicist. In this book Physicists are accorded a very special significance, a higher order than mere mortals. We are told again and again that their works are special, unique and different. That they stand apart. You see, it is a commonly held belief that in the past it was possible to be a specialist in multiple disciplines at the same time. Indeed some of the greats from the enlightenment were what we called then a “Polymath (these days we say “Genius”). Such giants as Goethe, Leibnitz and Hook. These men’s understandings, works and contributions to humanity are almost immeasurable and the fruits of it surround us every single day. However, since then science has been branching further and further into divisions and specialism’s and it is considered impossible for another Leibnitz to exist without him having to focus on one subject or become a businessman. This has led to a lot of scientists jostling for “rank” and “order”. The “purest science” award is generally granted to the Mathematicians; creators and guardians of the official language of science and pure in their abstract prowess to describe things in forms of numbers. But there is another group, self-aligned with the math geeks, who apply that language to something in particular; the Universe. These are the Physicists. The self proclaimed wizards of science, they formulate theories that attempt to probe the deepest corners of space and time. Even to the point of realising that space and time are actually spacetime. They exist in a constant battle against each other. The battle of modelling. Since there is hardly any evidence for much of theoretical Physics, these Physicists aim to create models that are “elegant” in their mathematical construction. A poem of maths, which they say points to the truth. They even get a feeling of “just knowing” that the theory is solid due to the ability to simplify the maths down to as small an equation as possible. 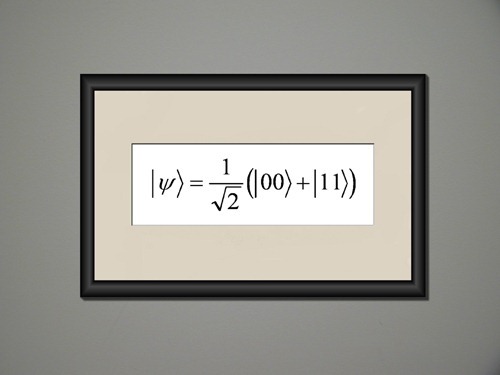 These mini equations are their haiku’s; piquant attempts to explain the almost ungraspable. Such grand and lofty aims sometimes lead to a kind of arrogance, conceit and over bearing self confidence that many scientists can get in their work. Ego mania is a strange and afflicting problem in the community (I’m looking at you Dawkins!). However, entrenched positions that take generations to dig out of are against the basic fundamental principles of science in the first place. Chief being the principle of falsifiability. That is the principle that any theory can be proven wrong. My Christian friend once asked me what it would take to prove science “wrong”. “They would do that?” He sounded sceptical. He now looked sceptical as well. He chuckled and passed me another beer. 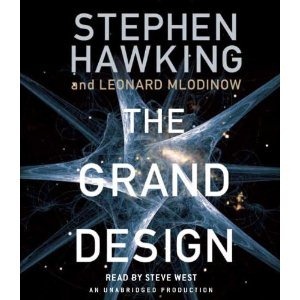 Professor Hawking has written this book to try and pass the “good news” of his latest thoughts regarding a type of String Theory. A theory he has, in fact, changed his mind about in the last 5 years or so. Early types of String theory have been around for even longer than that. String theory is an attempt to answer two conflicting truths and to unify them. 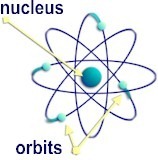 What is called “Classical Physics and Quantum Mechanics” Or in laymen’s terms, the theories of Newton, which are about the everyday normal sized objects, and the theories of Quantum scientists such as Feynman, which are about the very smallest of objects. These two theories make predictions about the future (another vital ingredient) that are seemingly both born out by experiment. In other words, Newton is demonstrably correct regarding gravity and Fennyman is demonstrably correct about Quantum. However, they don’t agree. How can they both be right? This is now considered wrong as it ignores much of the known universe – such a gravity of the very very small; quantum gravity. One of the theories trying to explain quantum gravity was Super String. You don’t need to understand it to realise that this will eventually be proved wrong too. But it is a better type of wrong than the first. Lots of people worked on the theory and came up with different flavours, variations and entrenched positions. Then, one man, almost for a joke, wrote a theory for a conference that suggested that the competing string theories should actually be seen as one theory from different angles. He called this M-Theory. The M standing for both nothing and everything that starts with an M, which if you think about it is a part of the joke. However, M-Theory was thought to have something and many people started working on this. It became fashionable rather than freaky and soon Super String was moving from the fringes of Physics to the mainstream. Now it is the official “best candidate” for the Grand Theory and thereby for reasoning (with justification) how the Universe started. A question that has always been levelled at scientific explanations for the creation of the Universe theories such as the Big Bang is basically “who lit the match?” Simply put, in M-Theory, the Universe started by itself and is one of multiple Universes, endlessly flowing like bubbles in a bottle of coke with a Mentos Mint thrown in. There is only one problem with it. Well, there are buckets of problems including that it requires many more dimensions to exist that are observable. However, by any measure the largest problem is almost unassailable; that it is almost impossible to prove. The other day a scientist on Radio 4 claimed that all discovery was over and science would shrink in importance. This is a predication people have been making for generations, and it fails to take into account discoveries that await while we apply science in new and exciting ways. For example, the European Fusion reactor is running at something like 60% efficiency. Once they get it to run at 99% then they predict that the issue will become one of engineering; that is improving the machine to squeeze out the extra juice needed. During such a process a startling discovery may be made that changes everything. it’s happened countless times before in almost every field, especially medicine – take smallpox, it wasn’t until we discovered that milk maids didn’t get it that vaccination was posited, and no one can say that hasn’t changed the world. Physics may be heading for a period of reengineering, where theory is not being moved forwards, it is the physical application of that theory (the experiments and the products) that is going to have to catch up. What is impossible to prove now, may be discovered to not only be provable, but may prove wrong as well. This is Hawking’s good news: he thinks M-theory is almost impossible to prove, not totally impossible to prove. Great to hear, after all: if they discover the Higgs all this may become more important than ever. 1. He tries to suggest that M-theory is the natural successor in the smooth progression from ancient to modern man. He takes history and draws a straight line through it claiming some sort of manifest destiny for M-theory. This is rubbish. Super String is and more importantly was waaaay-out-there as far as mainstream science goes. 2. His grasp of historical thought. The book is peppered with quotes from historical figures all taken light-years out of context. 3. He places Physics on a pedestal. A big pedestal. I understand that he is a physicist, but in the book he tries very hard to make them look special and cool. It is as bad as Sheldon in The Big Bang Theory and as arrogant. 4. He tries to establish Physics as separate from other sciences. As I said at the top, science does struggle with over-specialisations, but the borders between one discipline and another are not as solid as Hawking claims. They are often walls only of our making, and he knows this! Theoretical physicists are not a true breed apart no matter how much they only live through their blackboards. All science is a brotherhood and should be treated as such. 5. He has a few pops at Philosophers. …all extremists would be taken out and shot. You literally cannot form the sentence “Philosophy is dead” and have it be true. Such a statement is a philosophical position by default. It’s oxymoronic to claim that “Philosophy is dead” Given any reasonable definition of the terms he is talking nonsense. Unfortunately, it doesn’t stop there. Later in the book he refers to Philosophy as though it was all made up. I personally think it is a bit rich for someone who is forwarding a theory that has no shred of evidence to point the finger at Philosophers. After all, Science and Philosophy were once the same subject called “Natural Philosophy”. That they have diverged is not the wish of the Philosophers! Anyway, the only true difference is the usage of Maths. Philosophers are sceptical of maths whereas physicists love it. His claim that Philosophers lack the maths to understand his answers is not telling anyone anything they didn’t already know. Philosophers don’t want to use the maths! That doesn’t stop them coming up with the same answers in their own language. Many great Philosophers have postulated the multiple universes stated in M-Theory. Not to mention that over 2000 years ago Plato suggested that other dimensions may exist, Indian Yogi suggested alternate realities and Chinese sages wondered if they existed on another plain in a different form. M-Theory?… pah! Secondly, in the modern world, Philosophy is more important than ever. The Prime Minister of England studied it, as did many MP’s. Books on it are everywhere. It pervades the fabric of humanity at every level, from talking to friends down the pub, to high end intellectual conferences. This is because Philosophy is the human inclination to turn a question on its head. Philosophy is less about having the answer to everything, rather it is about having a better understanding of the question. Clearly, he is trying to be contentious to make the book sell in the US. I am not sure who will enjoy this book. There is nothing in it that you cannot read for free on the web, and if you already know the “public understanding of science” version of M-Theory and Quantum then you won’t read anything new at all. In fact I found his description of the famous Double Slit experiment to be one of the worst I have ever encountered and it is one of the most amazing scientific discoveries of all time. I still use it to amaze bright children. I really like Hawking. I love his TV shows and would count myself as a fan. But this book was too lite to be interesting, too confident to be correct and too ready to jump on the money-train driven by such people as Dawkins to garner respect from me.